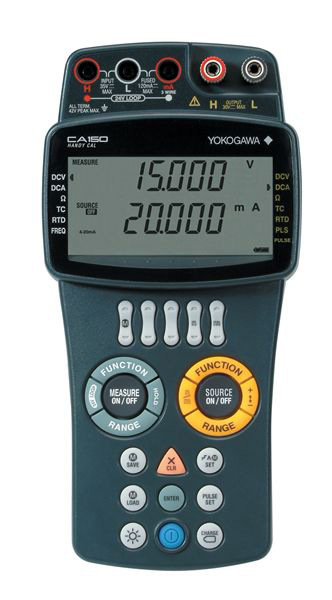 The CA150 Handy Calibrator is a portable, multi-function calibration device that can handle a wide variety of tasks ranging from verifying multimeters, temperature controllers, and freqency meters. It is able to precisely source and measure voltage, current, resistance, pulse and thermoelectromotive force signals, as well as generate specialized outputs such as signal stepping and ramping. The unit can be battery powered for true portability, or connected to an AC outlet. Approx. 10 minutes; it can be canceled by setting. Easy-to-hold vertical body is designed to make it intuitively easy to operate, as individual functions are accessed directly by pressing assigned keys. Using the main body case (model No. 93027) (sold separately), you can hang CA150 to your body or a handrail to keep it handy. 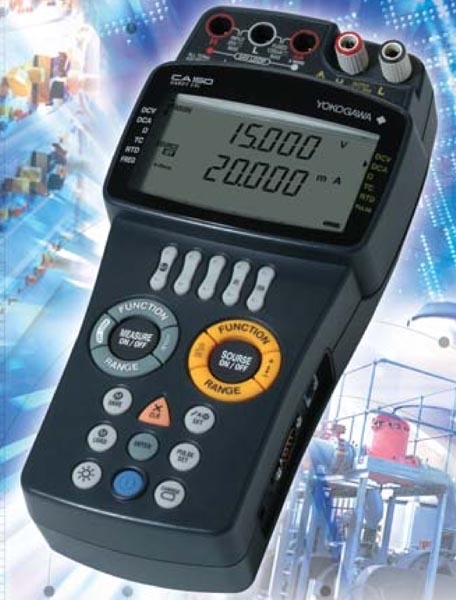 In conventional calibration applications, multiple devices such as a standard generator, dial resistor and multi-meter were required. Now with a single CA150 unit, it is possible to perform operation check at regular inspection and maintenance of thermocouples, RTDs and instruments, as well as maintenance and equipment diagnosis of process devices such as transmitters, thermostats and signal converters. It is possible to measure generated current signals while supplying loop power 24 VDC from a two-wire type transmitter (up to 22 mADC). This function changes the output in a staircase (step) pattern at fixed intervals. This function increases (or decreases) the output linearly with respect to the generated value. This function outputs source setting values stored by the data memory function sequentially in the order they are stored in the memory. Data can be stored and loaded in setting memory (setting data) and data memory (source/measurement). This function saves/loads setting conditions. Up to 21 data items can be stored. Settings for (source/measurement) functions, ranges, generated values/measured values as well as setting mode conditions can be stored. This function saves source and measure values displayed. Up to 100 data items can be stored. Storage date/time, (source/measurement) functions, ranges and generated values/measured values can be stored. 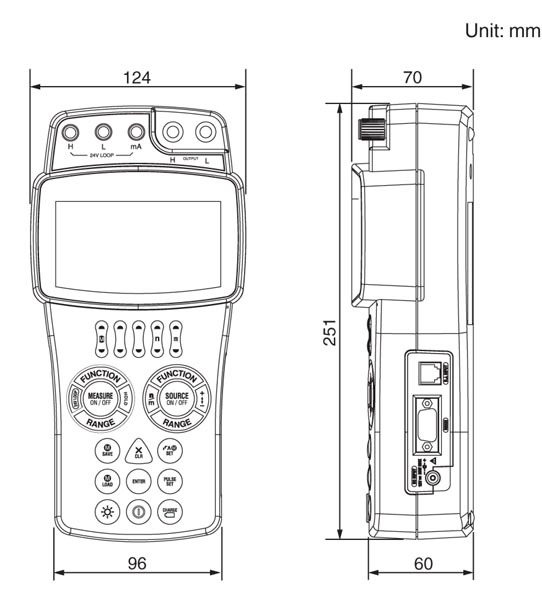 Stored data can be checked on the display of the main unit as well as via communication.